Arvo Prima of Pr1ma Corporation is honored by the NJBA. 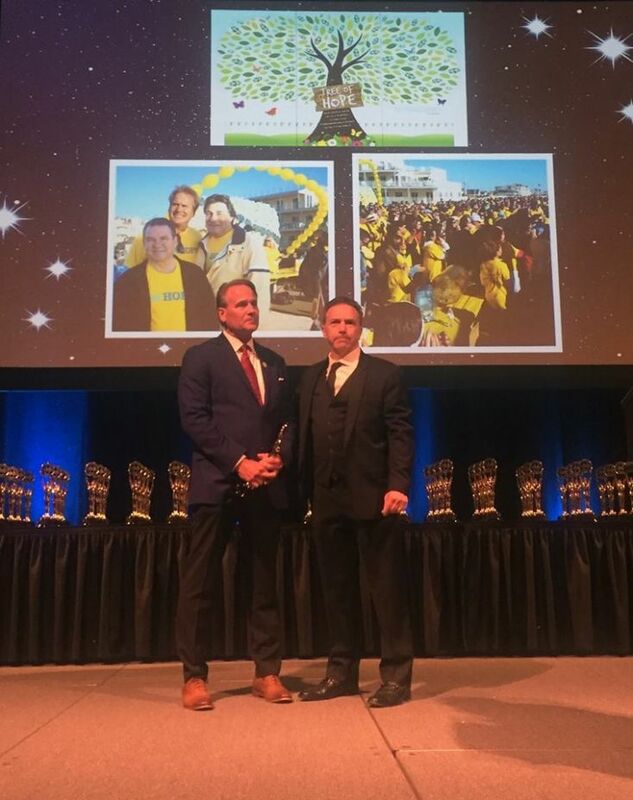 TOMS RIVER, N.J. - April 16, 2018 - PRLog -- Arvo Prima, President of Pr1ma Corporation, a builder of quality homes, communities and commercial buildings, was honored at the 31st Annual Sales and Marketing Gala that was held on April 12th at the Golden Nugget Casino, Hotel and Marina. The event, hosted by the New Jersey Builders Association, was part of the Atlantic Builders Convention, the largest building industry trade show in the Northeast. Prima was the recipient for the Above and Beyond Community Service Award for his work with Toms River-based nonprofit HOPE Sheds Light. He also received the award for Best Custom Home under $1,000,000. "We're truly honored to receive recognition for these endeavors," said Arvo Prima, President of Pr1ma Corporation. "I would personally like to thank the other two co-founders of HOPE Sheds Light, Ron Rosetto and Stephen Willis, for their tireless efforts as we strive to help families across the Jersey Shore that have been impacted by addiction. I would also like to thank Design 446 in Manasquan for its marketing efforts over the last 17 years, as well our architect, employees, construction teams and the NJBA for acknowledging our hard work and dedication." For the Above and Beyond Community Service Award, Prima has dedicated years of his time, talent and services to HOPE Sheds Light. As one of three co-founders, Arvo started HOPE as a resource for individuals and families impacted by addiction. Since 2013, Prima has organized an Annual Celebration of HOPE Walk on the Seaside Heights boardwalk with the goal of raising funds and awareness for HOPE Sheds Light. The 4th Annual Celebration of HOPE Walk took place in September 2017 and garnered 2,000 attendees plus media coverage and community support. The day was dedicated to honoring love ones who were lost to addiction, as well as those who are still sick and suffering. It also emphasized the importance of addiction education and family recovery. Over $175,000 was raised at this year's event, helping HOPE Sheds Light continue to live out its mission of community service. To learn more about HOPE Sheds Light, visit http://www.HOPEShedsLight.org. About HOPE Sheds Light, Inc.
HOPE Sheds Light, Inc. is an IRS 501(c)(3) nonprofit organization (Tax ID: 46-3910504) that is supported by friends and families directly affected by addiction and found recovery through continuous love, support and understanding. The mission of HOPE Sheds Light is to raise awareness and educate individuals, families and the community about the impact of addiction by having the courage to share personal experiences and offer strength, wisdom, hope and resources that lead to positive community change and long-term recovery. To learn more, visit http://www.HOPEShedsLight.org. Pr1ma Corporation is a builder of quality homes in the Toms river region of the Jersey Shore. Those interested in Pr1ma's newest offering of single-family homes are encouraged to learn more about Park Avenue Estates in Toms River. Situated off Church Road, Park Avenue Estates features 24 spacious home sites in a picturesque tree-lined neighborhood. To learn more about Park Avenue Estates (http://www.ParkAvenueEstatesNJ.com), visit the Hickory Pines Sales Office and Design Center, located at 122 Spirit Bear Road, Toms River (for GPS use: 1100 Hickory Street, Toms River), just off of Route 9/Lakewood Road. To learn more about Pr1ma Corporation, visit http://www.Pr1maBuilders.com or call 732-505-6464.